It can be very difficult to choose a veterinarian that you like. You probably asked your friends and family who their veterinarian is, trying to find one. You may go to several veterinarians but just don’t feel too comfortable with any of them. Maybe you found several you like and are not sure how to choose which one you want. 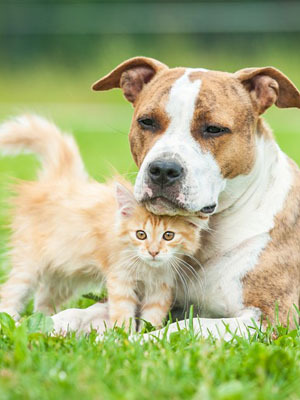 At Cypress Animal Clinic, we want you to make the best choice for you and your pets. Dr. Dunn's advice is that when choosing a veterinarian, you should find one that has an in-house laboratory for several reasons. When your pet is ill, you can have blood work back in a few minutes or hours instead of waiting days. When you have a sick pet, it seems like you will never have any answers. However, with an in-house lab, you are able to get basic blood work back in a few minutes or hours instead of waiting a day or more. In-house laboratories allow you to pick and choose how much blood work needs to be run. You can run single tests or even a small panel of blood work with an in-house lab. If your pet needs to have surgery, you can have blood work run before the procedure. Instead of making another trip to get blood work run before surgery, you can simply run a panel the day of surgery. If your pet needs emergency surgery that day, you can run blood work before doing the procedure. It is helpful to have blood work prior to surgery, especially with emergencies. You need to know how their liver and kidneys are doing prior to starting anesthesia. At Cypress Animal Clinic, we are proud to have a full in-house laboratory to provide our patients with the highest level of care. Dr. Dunn and the Staff at Cypress Animal Clinic are dedicated to bringing you the very best in veterinary medicine.